Ouagadougou (AFP) - West African leaders trying to mediate an end to Burkina Faso's coup proposed the return of the ousted interim president on Sunday in exchange for an amnesty for the elite troops who overthrew him this week. But civil society groups -- who played a major role in the uprising that toppled the country's longtime ruler Blaise Compaore last year, and whose former chief of staff led the coup -- branded the deal "shameful". Under the mooted accord negotiated by the Economic Community of West African States (ECOWAS) to end the crisis, fresh elections will include Compaore supporters who had complained they were being excluded from votes planned by the interim government for next month. The coup's leaders claimed the ban -- and a move to dissolve Compaore's powerful presidential guard -- had triggered their decision to seize power. But the "Balai Citoyen" (Civic Broom) civil society movement, which helped spearhead the protests that overthrew Compaore after he tried to extend his 27-year grip on power, denounced the deal. "It is shameful what has been proposed by ECOWAS. I'm ashamed to be African," spokesman Guy-Herve Kam declared. "They have forgotten the dead," he added, referring to the at least 10 people killed and more than 110 wounded since the coup began on Wednesday. ECOWAS mediators led by Senegal's President Macky Sall drew up the deal after three days of tense talks at a hotel in the capital Ouagadougou, with details read out to reporters by former Burkina prime minister Kadre Desire Ouedraogo at 6:30 pm (1830 GMT) Sunday. It foresees "the restoration of the transitional institutions and of interim president (Michel) Kafando", who is currently being held under house arrest by the putschists, and for all those being held as a result of the coup to be freed. Importantly those responsible for the coup would be pardoned. The law enshrining the deal must be voted through by September 30, according to the deal. Fresh elections would then be held by November 22 at the latest. The country's first democratic elections for decades had been due to be held on October 11. The plan will be presented to an extraordinary summit of the African Union on Tuesday, said Sall, who heads the regional bloc. He called for calm, saying "we aren't going to light a fire that we cannot put out." Earlier President Francois Hollande, of former colonial power France, called for all sides to support a return of the ousted transitional administration. "We fully support the dialogue in which the African heads of state are working to restore the transition process. I warn those who seek to oppose it" to think again, he said during a visit to Morocco. Tensions around the talks came to a head Sunday when dozens of supporters of the military coup stormed the Laico hotel hosting the talks, chanting slogans and wrecking furniture. An AFP journalist at the scene said supporters of coup leader General Gilbert Diendere were clearly aiming to pressure the mediators, who also include the UN representative in Africa, Mohamed Ibn Chambas. Diendere had said Saturday: "I never said I wanted to hold on to power... It's now a question of how to proceed." One of the thorniest issues being discussed by the negotiators is the future of Diendere, with many wanting him to be put on trial. Diendere's junta has claimed that Kafando was excluding Compaore's supporters from taking part in next month's polls. 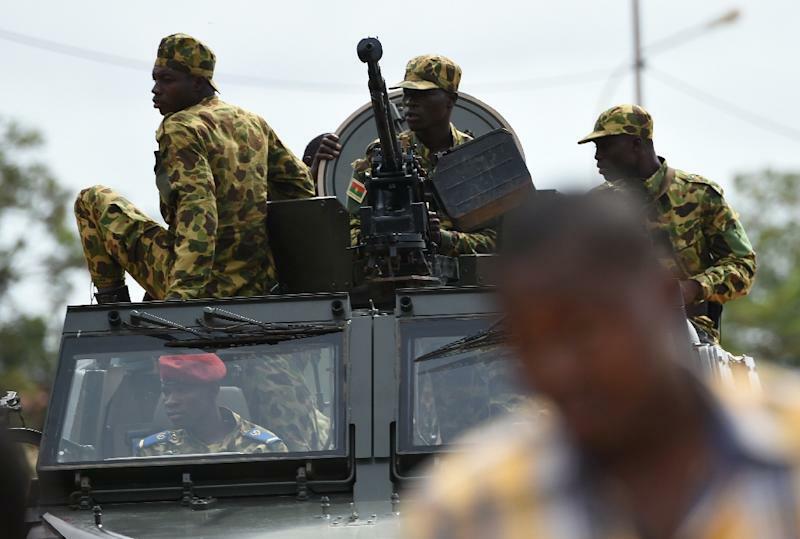 The turmoil began on Wednesday when members of the Presidential Security Regiment (RSP), an elite army unit of 1,300 men loyal to Compaore, arrested the acting president and prime minister. The officers officially declared the coup on Thursday with Diendere appointed the country's new leader. Arriving at the hotel before any announcement could be made, Diendere's supporters forced their way in, caused mayhem in the lobby before leaving. "What we want is for Diendere to stay and organise elections quickly like he promised. We are killing each other in the neighbourhood and the country because of exclusion, we need inclusive elections," a Diendere supporter said on condition of anonymity. Protesters from Balai Citoyen had earlier gathered outside the hotel seeking to "maintain pressure" on the talks. Saturday night was calm after days of protests and clashes that pitted anti-coup youths against the authorities. 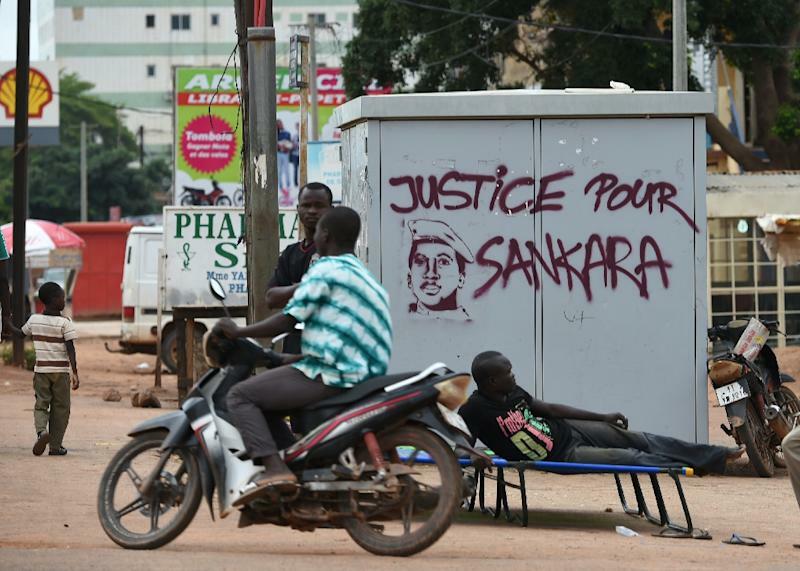 Throughout Burkina Faso makeshift road blocks remained in place, showing the groundswell of opposition to the military, with unions also calling a general strike. The 54-member African Union has also suspended Burkina Faso and imposed a travel ban and asset freeze on the junta's leaders. 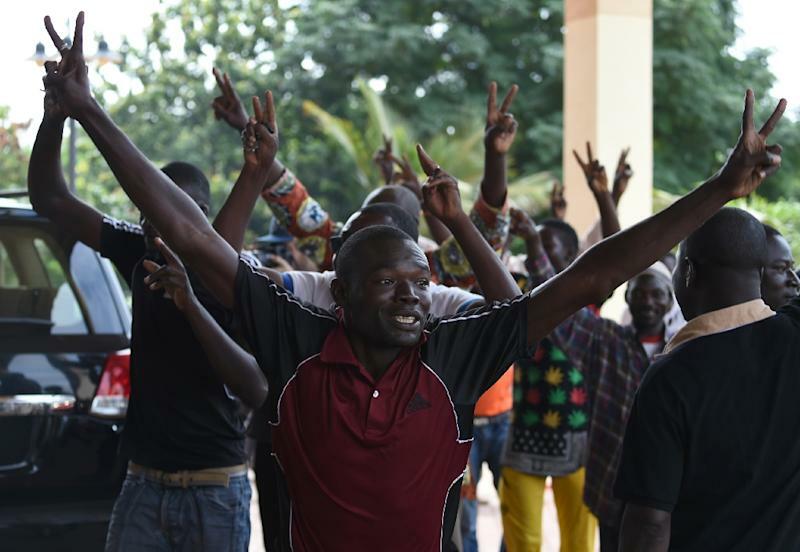 Previously called Upper Volta, Burkina Faso -- which means "the land of upright men" -- has had a long history of instability since it gained independence from France in 1960.